The Black Heart is a dimly lit Camden rock pub. The walls have wood panelling, posters, shrines, skulls and a neon crucifix. 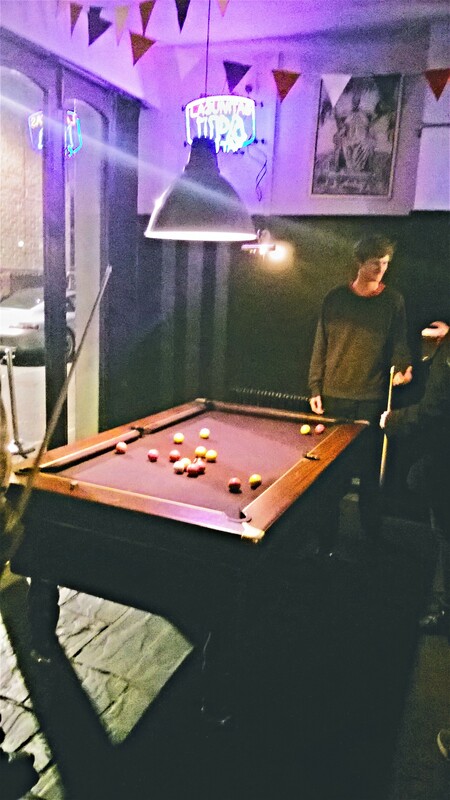 Local beer is served; there is a pool table by the entrance and the toilets are unisex. I was told that live music gets played upstairs. I asked at the bar to see the team manager and was pointed to Simon. 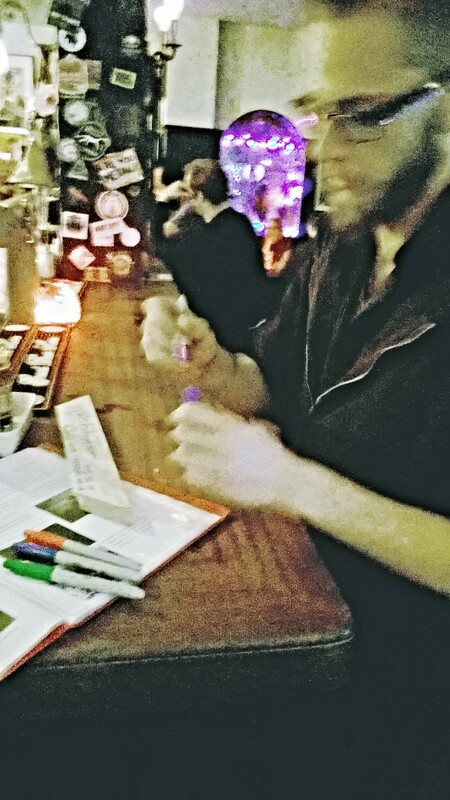 Simon gave the project a square of pool cue chalk and sent me to go see Lyndsey at 55 Bar & Lounge, in Camden.